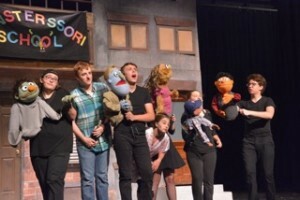 The Broadway Bound Players of Medford presents “Avenue Q: School Edition” at Lenape High School on July 30 and 31 at 7 p.m. and on Aug. 1 at 2 and 7 p.m. The show is a musical comedy production which highlights twenty-somethings searching for their purpose in life. The music and lyrics are by Robert Lopez and Jeff Marx and the book by Jeff Whitty. The Broadway Bound Players received the devastating news that the scheduled summer program and production would be cancelled just days before rehearsals were scheduled to begin. However, the cast would not accept defeat. Collectively, they approached family, friends and local businesses with their dilemma and were able to get the show back up and running in a matter of five days. Thanks to the leadership of directors, Julie Zarukin and Jim Sheffer and determination of the cast and their families, the Broadway Bound Players relentlessly fundraised to make this show a reality. Tickets are $10 in advance or $12 at the door. To purchase tickets in advance, email Sue Schitema at aveq2015@gmail.com.